Episodes of the original Kung Fu Action Tales series from the Podcast, read by various people and by various writers. What do you mean who am I? Has it been so long? Hmm, yeah, I guess it has, hasn’t it? 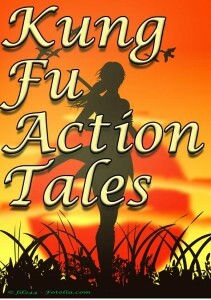 I’m Rob, and I bid you welcome to the sixth episode of Kung Fu Action Tales! Yep, we’re still here, and despite problems personal, professional, technical and supernatural this podcast is not yet dead! Well, maybe not supernatural, but you get the idea. It’s been a long couple months! Before we get on with tonight’s reading, I wanted to go over a few things. First, this podcast isn’t dead, but will be a little intermittent because with the exception of tonight it’s pretty much turned into a one-man writing show, and in addition to paying the bills this one man is a bit busy writing. This episode the charming and talented Fiona Thraille has reached into her bottomless magical bag of talents and produced a fun young adult story set in old China called The Little Warriors Without Swords. Fiona, as anyone who listens to KFAT knows, is the voice behind many of KFAT’s most memorable audio drama characters including Sister Cat and Lady Whitcombe. She also holds the title of being the only person so far who has written a KFAT audio drama besides myself- Little Gou and the Four Flowers of Shandong. Outside of KFAT, she was the writer/producer on Red Sands, a detective drama for Pendant Audio, and is also someone I’m fortunate enough to call a friend. Our reader tonight, like Fiona, is also a familiar voice. You’ll be hearing the vocal stylings of Richard Bartock, who you also heard reading last month’s Gen San-Mi Yorimasa- The Knight. After some other readers didn’t work out, Rick was kind enough to volunteer his voice to this tale, and should be commended for all the takes of it I made him do. When not serenading women with his deep rich tones, Rick is also the writer of the comic Clockwork Gods, a steampunk action story which all manly men would benefit from checking out. (And not a few ladies as well!) You can find it at http://clockworkgods.blogspot.com. Thanks Fiona for letting us tell Deshi’s tale, and to Rick for bringing it to life. I really love how Fiona manages to put a new twist on the classic tale of a town ruled by an outlaw family and the wandering hero who doesn’t quite save the day. Speaking of Outlaws, if any of you are planning on doing any Audio Dramas or Audiobook readings set in the old west, I sincerely hope you’re writing Mr. Bartok’s name down, because he was born to do westerns. Okay, so now on to the answer I promised- What have I been working on? The short and sweet answer is Twin Stars, but before you fans get up your hopes you should know that what I’m working on is the novel form, not more audio drama. It’s not impossible there may be another Twin Stars audio drama or two in the future, but right now almost all my creative energies are about expanding Twin Stars into prose format. I have to say, it’s really quite liberating, and I hope you like what I come up with. With luck, Book One will be finished before the new year, and I’ll be able to dive into Book Two, and of course…Book Three and beyond. Now, I did say most of my creative energies, but not all- there is one other creative project I have on the go right now, and it ties into both the KFAT website and this podcast in a way. I’ve rebuilt the KFAT webpage to reflect the podcast’s more prose focus, and I’ve also started to release a weekly webserial version of the Inuyama Rebellion. Yep, the same story you heard back in Episode Four is continuing on the KFAT webpage each Monday, so some check it out! If you’re not into webfiction, however, and you feel like being patient, you can also hear the rest of the Inuyama Rebellion here on the KFATale podcast in the near future, but I wanted to let the text version get well ahead before I released the audio one. Once the Inuyama Rebellion is finished in either November or December, I’ll be starting a new story on the page, and plan to keep doing it for some time. It’s going to be my way to do creative side stories while Twin Stars occupies my main focus for the long term. Okay, so that’s it for this show. I’m Robyn Paterson, and I thank you for listening. The title theme of this episode is Sacred Asia by DJ Svenzo. This entry was posted in Kung Fu Action Tales (old) on October 2, 2011 by UltraRob. Hi everyone and welcome to the third episode of Kung Fu Action Tales, I’m your host Rob Paterson and I’m here to take you on a journey into the realms of Asia that might have been or never were. This week we’re experiencing a new realm in Asian adventure stories courtesy of author Winnie Khaw, who has kindly offered one her stories for our listening pleasure. Winnie herself is a developing writer at the age of twenty-one, but hardly an inexperienced one, having had one of her original plays performed at an awards show while still in high school and having been accepted into the Orange County Playwright’s Alliance in 2008 for her adaptations of the Chinese classics The Love of the White Snake and The Butterfly Lovers. She also presented an original Chinese Fantasy Novella in 2009 at a California Honors Symposium held at Stanford University- not bad at all! I think we can expect to hear her name a lot more in the future as well, as she’s currently a junior creative writing major at Chapman University. Winnie’s story, the Paper Dragon Breathes Fire, will be read tonight by Ty Konzak, who like last month’s Fiona Thraille has been one of the hearts of Kung Fu Action Theatre’s audio dramas over the years. Ty spends his days in his secret identity as a mild-mannered Oncology Technician in Fargo, North Dakota, but when the sun goes down and the moon is high he turns into the voice acting machine spoken of in reverent whispered tones we know today as Aramek. Ty has done more voices for KFAT than I can list, from his first roles as Malarek in D-Ranger and Rong Li the Master of Thunder in Little Gou’s adventure of the same name, to his recurring role as Kip in Twin Stars. Listening to Ty work the magic voice he developed over 3 years of radio has been one of my great pleasures when doing audio editing, and I never cease to be amazed by the variety of voices he can come up with. He says he loves to do villains and silly voices, but I have yet to hear anything Ty couldn’t pull off. And this is why I chose Ty for tonight’s reading. The Paper Dragon Breathes fire is a hard story to explain. My first thought would be to compare it to King Lear, and I think the Shakespeare analogy aptly fits Winnie’s incredibly dense and magically poetic style of writing in this story. But, there’s more to it than that. Winnie has captured the essence of a dynastic change, something that occurred frequently in Chinese history, and while such events are often times of triumph they are also equal parts tragedy caused by the all too mortal failings of man. I must confess, when I first started to read Winnie’s story I was a little overwhelmed and not sure what to make of it, but as it went on it all began to make sense and I by the end I was touched by the elegance of the whole thing. Perhaps you will have a similar experience….enjoy! This entry was posted in Kung Fu Action Tales (old), Warriors of Old Japan Audiobook on April 1, 2011 by UltraRob. Hello everyone, and welcome to the second episode of Kung Fu Action Tales! I’m your host, Rob Paterson, and tonight we’re bringing you not one, but two tales of adventure from Old China. The first is a short story called The Man Who Was Never Afraid, and the second is a sample from a recently published new Young Adult WuXia novel called Shrouded Path. 1. First, I’d like to thank the people who have been submitting stories to KFATales, it’s great to see that people out there are interested in exploring the wonders of old Asia. That said, we’re always looking for new stories, so please, if you have a tale of Asian adventure you’d like us to help share with the world- send it in! And we’re not just stories set in China or Japan, either! If you want to show us the adventure possibilities in old Indonesia, or the Philippines or Mongolia, then take this as your chance to show it to the English speaking world. I know that most Asian cultures had rich martial traditions, I’d love to hear some of their tales, and I know many of your fellow listeners would too! So get to work people! Time’s a wasting! 2. Speaking of listeners, I’d love to have some feedback from you lads and ladies about the stories we present here on KFATales, and I’m sure the other writers would too. So please feel free to drop by the website and post your comments on our shows, or send us an audio message at kfactiontheatre@yahoo.ca and I’ll even play it on air during the next episode and do my best to answer any questions. 3. And third, as always, KFATales is brought to you by KFAT’s own line of e-books which can be found on the Kindle or other major e-book retailers. Alright- on with the show! The author, Brian Dolton, describes himself as an Englishman, now living in New Mexico, and writing stories which are mostly about an imaginary China. This makes perfect sense to him. He’s had work published in the Intergalactic Medicine Show, Beneath Ceaseless Skies, Fantasy Magazine and many more – but says for those who find Yi Qin an interesting character the best place will be upcoming issues of Black Gate magazine. Issue 15 is due out early this year and will contain one story, and others are already slated for issues 16 and 17. As for this story itself, it was published at Abyss and Apex, issue 20, October 2006. The first reader, Fiona Thraille is a talented actor and writer who hails from the United Kingdom and has been heard in our audio dramas as Sister Cat in the Little Gou adventures and Lady Whitcombe in the Twin Stars series. Outside of KFAT, she’s had numerous roles with Pendant Productions, and written and produced her own mystery audio drama series entitled Red Sands. Our other author of the evening is Aron White, who will be reading an excerpt from his new novel Shrouded Path. According to his blog at aron-white.blogspot.com, Aron lives in Seattle and assumes his secret storyteller identity whenever possible. Originally from the Motor City, he’s always had a soft spot for Chevys, enjoys collecting vintage movie posters and is a member of Knights of Columbus. Some day when his regime comes to power he plans to require society to read more books and watch less television. 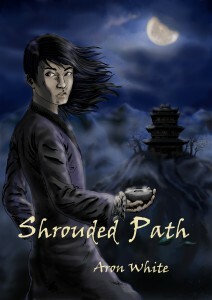 His first novel, Shrouded Path, is a young adult adventure set in 16th century China, and tonight we’ll be hearing the prologue and the first chapter. Enjoy! Alright then. I do believe that brings this month’s exploration into the worlds of Asian Adventure to a satisfying close. As always, thanks for listening, and tune in next month to hear Winnie Khaw’s entrancing story of the fall of a dynasty in The Paper Dragon Breathes Fire. This entry was posted in Kung Fu Action Tales (old) on March 1, 2011 by UltraRob. 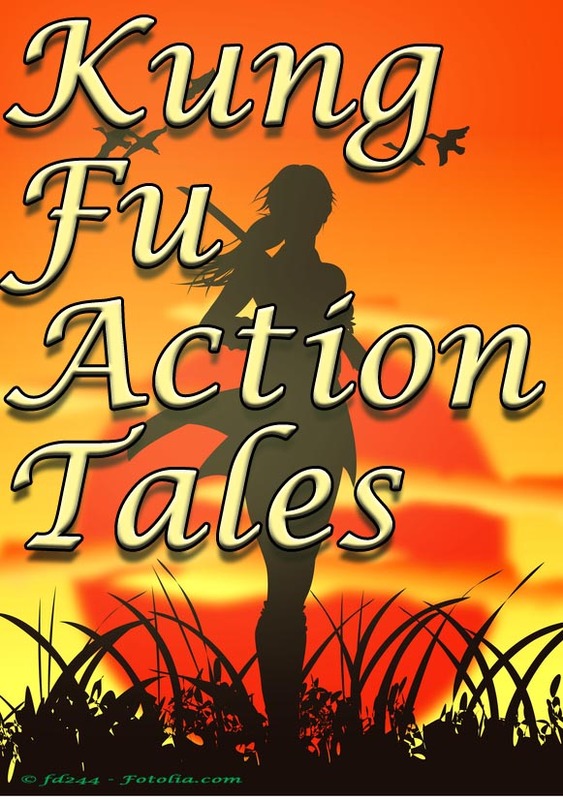 This is the first episode of Kung Fu Action Tales, KFAT’s newest monthly Podcast where we will explore new realms of Asian Historical Adventure Fiction. As you may have heard, KFAT has recently made the jump from an audio drama production group to prose fiction, and in keeping with the KFAT theme I wanted to shift the podcast feed over to something that reflects our new style. On this podcast I hope to have new stories of action, adventure and intrigue set in old Asia, but perhaps also moving into other areas as the podcast evolves- we’ll see as we go. And I do mean we’ll see! This podcast isn’t intended to be just me, but I hope it will become a community project similar to Podcastle or Escape Pod where each show has new writers and new storytellers showcasing their visions of Asia and beyond. If you’re a writer, and you’re interested in submitting a story, please check the submission guidelines on the KFAT homepage or write to me at submissions@robynpaterson.com. We’re not recruiting readers yet, since many of KFAT’s actors have been willing to donate their time to do readings for this podcast, but if we do need them in the future I’ll be sure you let you know. Tonight’s very special adventure is a fitting one. I say that because KFAT’s very first audio drama was Little Gou and the Emperor’s Cousin, and tonight’s story, Hot Soup, is an adaption of that very tale. Of course, some of you may have already heard the original Audio Drama, but don’t worry, this adaption takes the story to new heights and new directions with the power of prose. Then sit back, relax and enjoy Hot Soup. The very first Little Gou short adventure story. This entry was posted in Kung Fu Action Tales (old) and tagged Hot Soup, KFATales, Little Gou, Robyn Paterson on February 1, 2011 by UltraRob.